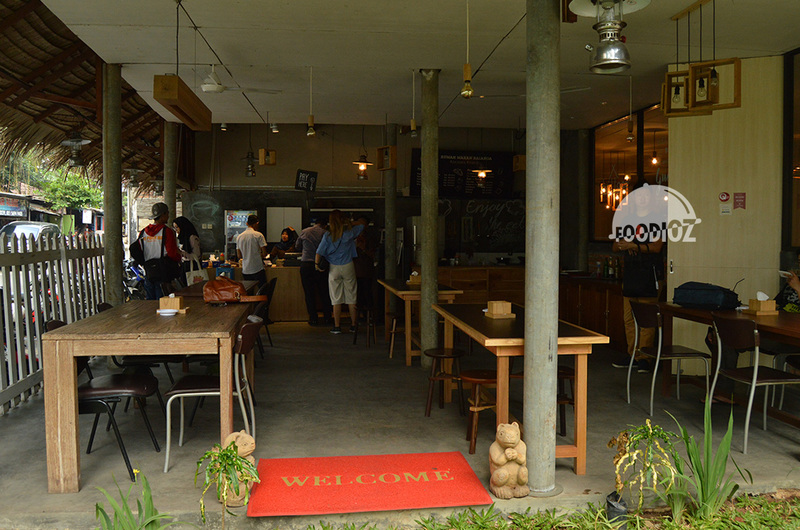 There also available indoor area, where it is much better, cold air sure chill down the place. But, i must say this is not nice spot to take a picture i think. It sure dark all over the room, i am sure i won't make any good shot in there. What lovely here, it decorated by classic interior and furniture such a radio, television and many others. 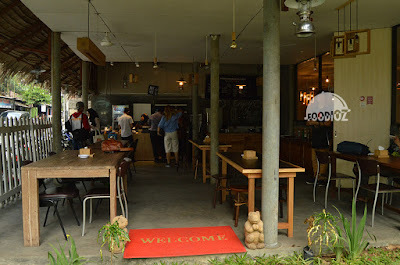 This Food Center is offering various of local Indonesian foods. But for your note, some tenants also served Pork. So if you're strictly about it, i may say just take a look another tenants. First dish i'd like to mention here is Song Sui. It is a broth soup with bunch of pork meats and fried pork skin also vegetables. I found out it is quite nice, warm fresh soup with tender meat is sure delicate. Then i have Soto Betawi. 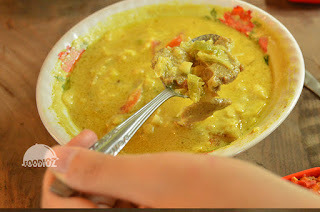 It is typical Jakarta dish, a thick soup with beef slices, rice noodles, spring onion and coconut milk. I think it is too plain, not much seasoning i taste in it. Beef has soft texture, only if the soup has seasoning, it would be perfect. 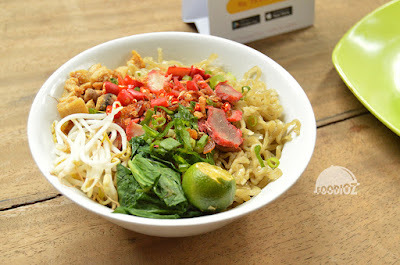 Next dish i have is Bakmi Danau Toba. 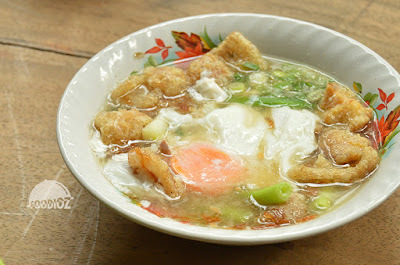 Bakmi is noodles, Danau is lake, Toba is name of the lake. Apparently, this food i come from one of city around North Sumatra. Actually this is typical chinese noodles with bunch of smoked pork slices and crispy pork skin on top. Then i have one of favorite dish here is Nasi Goreng Rasaroa. 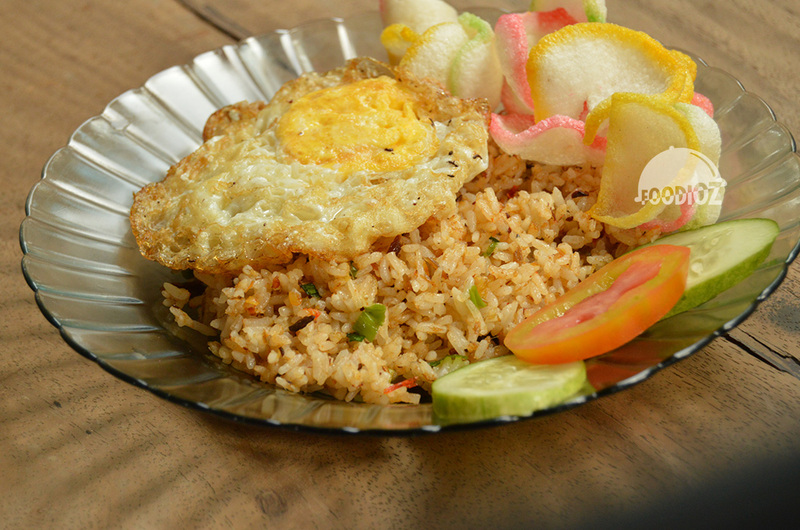 Basically, this is Common Indonesian cuisine, fried rice. But only here has Roa Fish. It is used to come from Manadonese cuisines. Roa fish give a different scent of fried rice which is tasty and be careful, bit spicy here too. After that, i have Panada. It also one of typical of Manadonese meal. It looks similar with Pastel, but with simple oval shape, and it filled with minced meat. I think it is good, crunchy skin outside, soft texture inside and meat absolutely tasty. Actually, there's many other cuisines here. But since i have been late arrived at there, so i took only short time to enjoy the food. There also have grilled chicken in Indonesian sauce. Cu Fung Moi, typical chinese pork soup mixed with rice together just like a different version of porridge. Overall, i think this place could be another option for you to hang out. 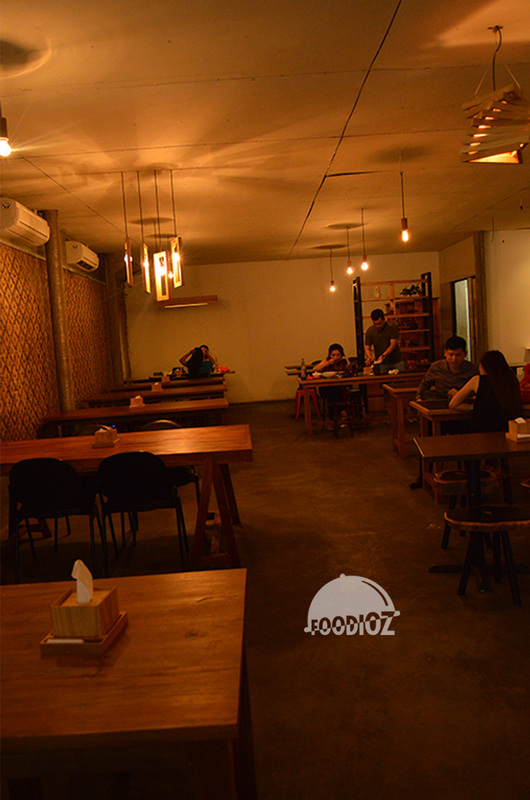 A food center with various of food choices, where you don't have to get difficult to take a dine in.